LED Safety Flashlights and Wands. Multi-color, traffic control safety lights. LED Safety Flashlights. 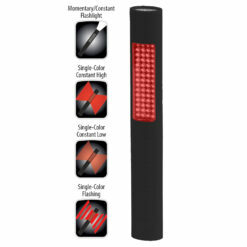 LED high brightness flashlight with red, white, yellow or green LED floodlight. Dual switch controls flashlight or floodlight operation. 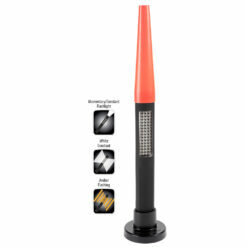 Works in full power, half power or strobe for higher visibility. 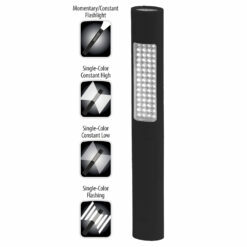 Luminescent cone attachment enhances flashlight’s visibility during vehicle and pedestrian traffic control. Spotlight illuminates distant objects with floodlight lighting nearby objects. Portable Area Lighting. 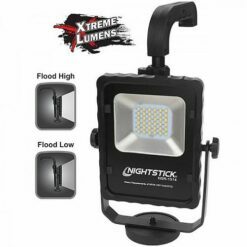 Rechargeable battery Area Light provides floodlight illumination. Handheld battery powered lamp operates up to 8 hours. Light output of 1000lm and 500lm. 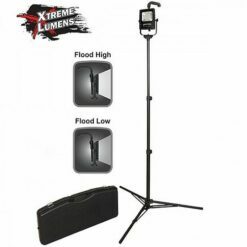 Tripod that extends to 6 foot in height and carrying case for tripod and lamp is available. Battery recharges by AC and DC power sources.